Every Thursday, 5.30 pm to 7.30 pm during term times. 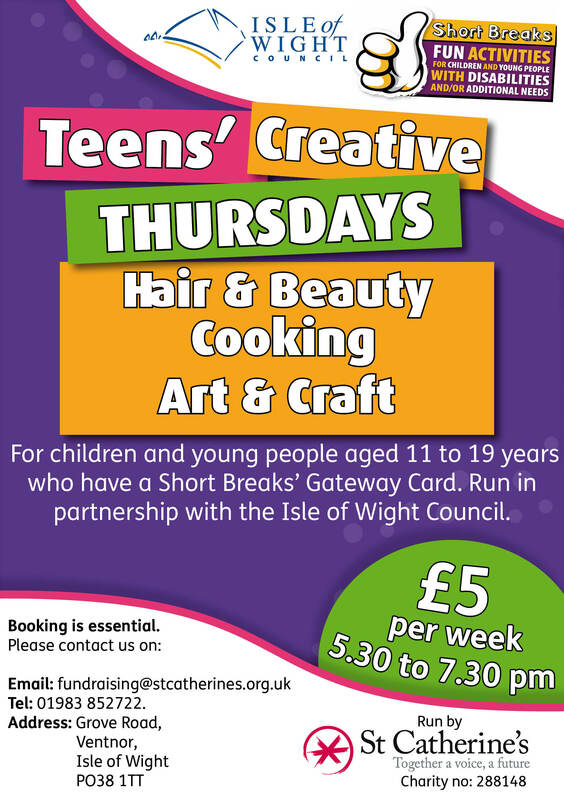 Teens' Creative Thursdays is an opportunity for 11 to 19 year olds with additional needs to make new friends and learn new skills including Arts & Crafts, Hair & Beauty and Cooking in a fun, friendly and relaxed environment. Numbers for the activity are limited, so please book in advance. Siblings are welcome to attend, however, priority will be given to young people with additional needs.